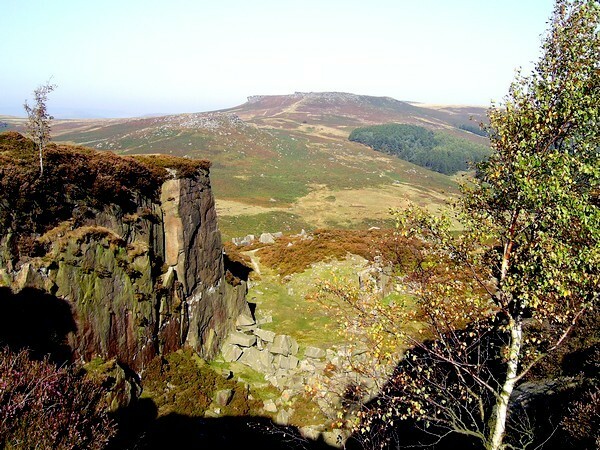 Padley Gorge, Millstone Edge, Carl Walk Hill Fort and Burbage Edge. A full day guided walk as part of a small group of usually no more than six people plus your guide. 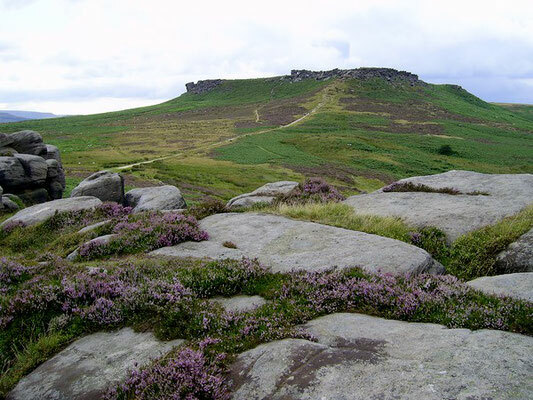 This walk takes place in the Dark Peak, close to the town of Hathersage and the city of Sheffield. 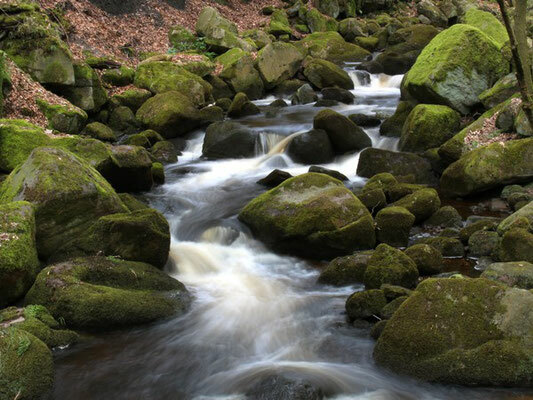 Starting from the National Trust property Longshaw Lodge, we walk through the grounds and descend into the picturesque Padley Gorge. We cross the delightful stream and gently ascend through woodland to Millstone edge via Laurence Field quarry. After experiencing “the surprise view” (weather permitting), we follow the edge keeping a look out for rock climbers bravely ascending the gritstone Towers and Tors and ascend to Carl Wark Hill Fort. The fort is a fine example of a reputed iron age hill fort but evidence suggests it could be Neolithic . 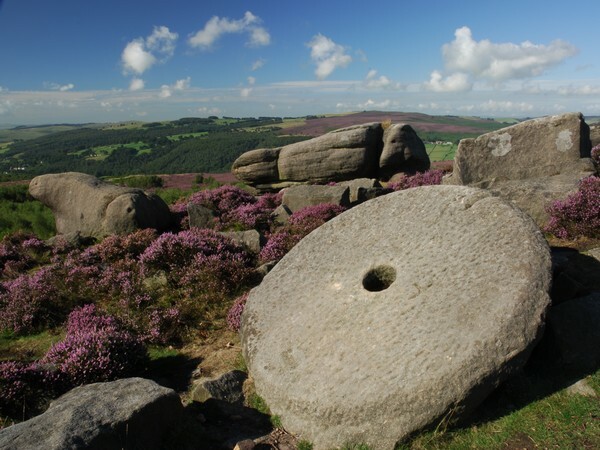 After visiting the fort and viewing the ramparts we ascend to Higger Tor (434m ) with a chance to view the gritstone rock formations up close and then work our way along the undulating Burbage Edge via Upper Burbage Bridge to see evidence of discarded millstone wheels amongst the heather before returning to the car park. Millstone Edges, Gorge and a Hill Fort, with Rachel Bolton. Saturday 15 June. We meet at the Longshaw National Trust, Woodcroft car park off the B6055, 200 yards south of junction with A625 ( Fox House Inn ). Pay and Display £5.00 for four hours or more. 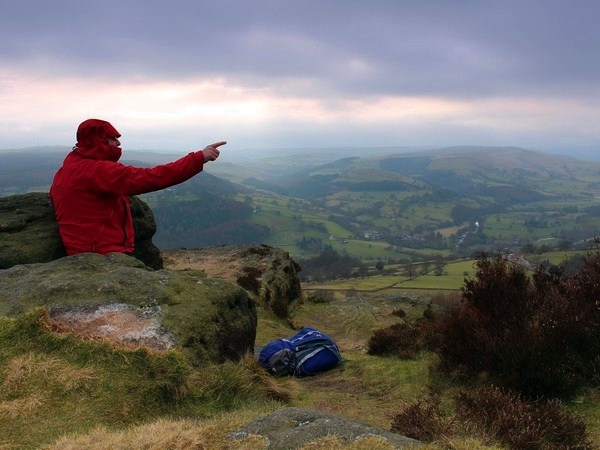 If you would like to stay locally the night before or after this walk, the village of Hathersage is nearby and has a selection of B&Bs, inns, and a YHA hostel.